More than 600 cannabis plants have been destroyed after being recovered from a house in Crewe. Police Officers smashed their way into the three-bedroom semi detached house in Newfield Drive on Jan 26th. Sergeant Andy Collier from Crewe neighbourhood Policing Unit said, “The plants were in the upstairs rooms which had been converted for cultivating cannabis with the usual irrigation systems and heaters. Rooms downstairs were in the process of being converted for the same type of use. “As we went into the house a man jumped from an upstairs window and landed on concrete. He sustained quite serious injuries to his ankle and was taken to hospital. We will interview him later. “We have identified and shut down a number of cannabis farms in Crewe in the past few months. Many of them, like this one, have been a substantial size. These closures prevent drugs going on to the streets and cut into the income of the organized criminal gangs who are often behind this type of operation. Anyone with information or suspicions about cannabis farms should contact the Cheshire Police Information Line 0845 458 0000 or you can leave information anonymously on the Crimestoppers line 0800 555 111. Signs to identify a building being used as a cannabis farm. · A pungent and sweet smell on the street with no obvious source. · Unusual levels of heat coming from a property. · Unusual noises at odd times such as fans going constantly, or large items like sacks or drums being dragged around. · Windows that are blacked out by heavy curtains or bin bags from the inside. · The property seems unlived in or the residents are active at odd times of the day. · Bulky items being taken into the property such as barrels and drums. Welcome to this my thirty-eighth electronic news bulletin. UNION bosses have accused the Government of ‘betraying’ workers following the announcement Crewe tax office is to close in March next year with a loss of 22 jobs. Treasury Secretary Stephen Timms has just confirmed in a letter to Crewe and Nantwich MP Edward Timpson that only 30 of the 52 staff working in the Oak Street office have been redeployed – leaving 22 facing life on the dole. Colette Smith, the West Cheshire branch secretary of the Public and Commercial Services Union, said this week: “Management said they’d help our members in find jobs in other government departments – but in reality there are no jobs available locally. She added many of the workers were carers or mothers with young children who needed to work near their homes. Workers at Crewe have fought a lengthy campaign backed by Mr Timpson to stop the closure of the Crewe office. Mr Timpson accused the Government of showing a complete disregard for the Crewe workers and said they were also removing a valuable local service. “We’ve become quite famous in the Treasury for our campaign against closure, staving off the decision for 20 months and resulting in them sending not one but two very senior officials to bear the bad news,” said Mr Timpson. Joan Patrick, of Gainsborough Road, who had just received help with her tax at the Crewe office, told the Chronicle as she left: “I think it’s a terrible shame it’s going. AN MP is supporting a Bill calling for more localised reporting of ambulance response times. James Duddridge, MP for Rochford and Southend East, is backing the Bill put forward yesterday by Edward Timpson MP to introduce requirements for ambulance services to provide more accessible and localised reports of their response times. CREWE and Nantwich MP Edward Timpson is helping to raise awareness about bowel cancer. Mr Timpson met representatives of Beating Bowel Cancer at its annual Be Loud Be Clear reception. Bowel cancer is the UK’s second biggest cancer killer. Of the 100 people diagnosed every day, almost half will die from the condition. But more than 90% of cases can be treated successfully if diagnosed early enough. All people aged 60-69 in England are invited for screening every two years through the NHS bowel cancer screening programme. Yet in Crewe and Nantwich only 57% of people have taken part in screening. Mr Timpson said: ‘I was pleased to learn today that 767,034 people in the Midlands and North West screening hub have taken part in bowel cancer screening to date. Hilary Whittaker, chief executive of Beating Bowel Cancer, said: “We are delighted that Edward Timpson is supporting Beating Bowel Cancer’s call to action on screening. “While significant improvements have been made since the start of the programme, we know more lives could be saved if participation in screening increased. When I became MP for Crewe and Nantwich one part of the job that I was looking forward to most was the chance to represent people that I know to be rightly proud of their area and its traditions. One of the most memorable and impressive displays of this came when my wife and I had a great time at last year's Holly Holy Day and the re-enactment of the 1644 Battle of Nantwich. And since then I was kindly invited to become a patron of the event, which of course, I was delighted to accept. Since the revival of Holly Holy Day in 1972, it has become much more than just a recreation of that famous battle. It is now a day not just for local people to enjoy, but also for people from across Cheshire and the UK to come to Nantwich, and see what all the fuss is about. From what I can tell 2010's Holly Holy Day promises to be even bigger and better than last year, with a market, various performances and street entertainers spread across the town, as well as a safe area dedicated to children. It should be another fantastic day. And not only is it an excuse to have a day out and celebrate a bit of our shared history, it will also hopefully provide a welcome boost to businesses in the area, who might otherwise be suffering from the post-Christmas slump. The organisers have told me that this year they are particularly keen to expand the event, in an effort to attract as many visitors as possible, and really put Nantwich and Holly Holy Day on the map. And finally- just a word to say a big 'Thank You' to the Holly Holy Day Society, the Sealed Knot and to all the other volunteers whose hard work makes all the festivities possible, and to all the people of Nantwich and the local councils and businesses for supporting them. EX-WORLD champion boxer John Conteh and local MP Edward Timpson were among the the VIPs at a celebratory charity dinner at Haslington Cricket Club. The boxer and the MP are both patrons of Supported Community Business, a therapeutic workshop based on Crewe Gates Industrial Estate for people with learning difficulties who wish to explore the world of work in a safe and controlled environment. The trainees carry out real work tasks for local businesses, ranging from mail shots to packing components for flat packs, enabling them to experience work first-hand while gaining confidence and life skills. The highlight of the evening, attended by most trainees, was the presentation of this year’s David Hough Trophy. It was awarded to Kevin Schofield, the trainee judged to have made the most significant progress over the past 12 months. Christine Hough and Paul Edwards received certificates of merit in recognition of personal goals they had achieved during the past year. All three winners were delighted their progress has been recognised in an official way. Crewe and Nantwich MP Edward Timpson was on a panel discussing fostering and care at the Royal Society of Arts in London last week. The talks were part of Barnardo’s ‘Counting the Cost of Care’ conference, addressing obstacles to fostering and adoption in the UK. The charity says that80% of people have never even considered fostering – contributing to a national shortage of 10,000 foster carers. Before becoming an MP in 2008, Mr Timpson was a barrister specialising in family law and his family has fostered more than 80 children. WORKERS at Crewe- based Fujitsu are to strike again this week in a row over jobs, pay and pensions. Staff at the Crewe site of the technology giant, who took part in strike action on Friday, are expected to walk out again this Friday. Further strike action is also earmarked for next month. Crewe and Nantwich MP Edward Timpson visited staff at the Crewe Business Park site last week after being contacted by the unions. He has also signed a motion in Parliament calling for a dialogue to be established between Fujitsu's management and the Unite union. Last year Fujitsu announced it was to lay off 1,200 employees. This number has now reduced. Unite says about 70 UK workers are now at risk of compulsory redundancy. Union bosses say a pay freeze imposed earlier this year and plans by the company to close the main final salary pension scheme to future accrual, reduce the total pay package of each affected employee by around 20%. Fujitsu employs 260 workers at Crewe. The NHS should publish detailed data to show the wide variation in ambulance response times, an MP has said. Conservative backbencher Edward Timpson, MP for Crewe and Nantwich, said the data nationally published gave patients no real indication of how long they might wait for the emergency service. Department of Health (DH) targets dictate that ambulance trusts must reach 75 per cent of serious call-outs within eight minutes. Timpson told the Commons on Tuesday that the NHS in his own area, the North West, had managed 74.3 per cent of scores, but that hid the fact that ambulances were only meet the target time for 14.3 per cent of calls in some postcode areas. The MP, who was introducing a bill demanding local reporting of response times, said such a low figure was "unacceptable", even in rural areas. He also said more detailed data was available "at the push of a button", but was currently only published in response to freedom of information requests. "What I hope my Bill will do is to begin to address the absence of proper local accountability that exists across the ambulance service, and in doing so help to improve the outcomes for patients wherever they may happen to live," he said. Although Timpson's bill will not make into law due to lack of parliamentary time, it does have cross-party support. A DH spokesman said the department has no plans to change the level at which ambulance data is collected. "The department regularly reviews the level of data that it collects to ensure that it is able to adequately monitor NHS performance without placing an unreasonable burden of reporting on the NHS," he said. ""It is a matter for the local NHS to ensure there is appropriate provision of emergency services that are responsive to people's needs. "Many local NHS services already look at localised performance data, but whether and how they do this is up to each trust to decide. "The Department of Health only collects national data at ambulance trust level. SHAs and PCTs have the responsibility for ensuring that national response time standards are delivered and maintained by trusts." © 2010 Dod's Parliamentary Communications Ltd.
Only 57% of people aged 60-69 in Nantwich and Crewe have had bowel cancer screening since it became available on the NHS, figures show. Everyone aged 60-69 is entitled to take part in the NHS bowel cancer screening programme every two years. Nantwich MP Edward Timpson recently met with the charity Beating Bowel Cancer at their annual ‘BE LOUD BE CLEAR’ reception at the House of Commons. The charity aims to highlight the importance of screening and hopes to screen one million additional people in the UK over the next two years, which could save more than 2,000 lives through early diagnosis. Bowel cancer is the UK’s second biggest cancer killer. Of the 100 people diagnosed with bowel cancer every day, almost half will die from the condition. Yet over 90% of cases can be treated successfully if diagnosed early enough. Data on local ambulance response times should be published, according to a Tory MP. Introducing a ten-minute rule motion in the Commons this afternoon, Edward Timpson (Con, Crewe and Nantwich) said his Ambulance Response Times (Local Reporting) Bill would require ambulance services to provide more "accessible and localised" reports of ambulance response times. He told MPs that regional ratings were "distorting and disguising enormous variations within a region" as smaller localities within larger areas could be neglected. The MP, who took the traditionally Labour seat in a by-election in April 2008, said because of this the public has no meaningful way of establishing how their local service is performing. Timpson said he had managed to acquire figures only through submitting a freedom of information request. But the data was available on ambulance service computers at the "push of a button" so should be published as a matter of course. And he hoped his Bill would begin to address the absence of "proper local accountabilities" in the ambulance service. More than 1,450 Unite union members at the IT company struck solidly for the seventh day on Friday of last week. They are angry at plans to make workers redundant, the imposition of a pay freeze and management’s desire to close the final salary pension scheme. The compulsory redundancies are to take effect from Sunday, so there is an urgent need for other groups of workers to back this fight. The attacks are coming from a profitable company. Fujitsu staff in Northern Ireland struck on Tuesday of this week, while those in England, Scotland and Wales were to take action on Wednesday. They were to lobby their MPs in parliament on the day. The union has four more days of strikes – on Friday of this week, Monday and Friday of next week, and Monday 8 February. Pressure is being stepped up on the company in other ways. Twenty two MPs have signed an early day motion supporting the workers. Unite sponsors over 160 Labour MPs. Strikers received their first visit from an MP last week. Incredibly, the MP in question was Edward Timpson, the Tory MP for Crewe & Nantwich. Many are wondering why Labour MPs haven’t visited picket lines. The union last week fought off an attempt by Fujitsu to force it to withdraw the notice of action on a legal technicality. Workers are demanding that Fujitsu negotiates properly with Unite. They are determined to keep up their fight until a deal, acceptable to members, is reached. Alan Jenney, a Unite rep in Crewe, said, “The strike is gathering pace. We had the largest number of people picketing yet on Friday of last week, with 24 members outside the building. “People feel that the company has not really responded to us. “We could do with a bit more publicity from the national side of things. “Edward Timpson MP attended our picket line on Friday to get the views of members on the dispute. John Garvani, a Unite rep in Wakefield, said, “The strike has opened a lot of people’s eyes. They see a profitable company that is not negotiating with the union about the issues behind the dispute. “The next few days have an extra importance as the remaining compulsory redundancies take effect on 31 January. “There are less than 100 people at risk from this now, and you would think that a company with 11,500 staff could absorb that number of people. “It’s not as if we’re short of work for people to do. “The strike is having an effect on the company. In Wakefield some of the desks for customers are being staffed by a small amount of people on strike days. Unite needs to make this dispute, which is about issues that matter to millions of workers, a key priority for the union. It should also be putting pressure on its sponsored MPs to support the early day motion and the workers’ fight. Fujitsu workers are planning campaign and solidarity meetings around the country on 8 February, which should be a key date in trade unionists’ diaries. James Duddridge, Member of Parliament for Rochford and Southend East, is today supporting a Bill put forward by Edward Timpson MP to introduce requirements for Ambulance Services to provide more accessible and localised reports of ambulance response times. Regional Ambulance Authorities currently publish Ambulance Response times for the entire region but not on a local level. WORKER'S at Crewe's technology giant Fujitsu had the opportunity to air their grievances to local MP Edward Timpson last week. On Friday Mr Timpson paid staff a visit at their site at Crewe Business Park, which employs around 300 people, after he was contacted by union bosses. Last year Fujitsu announced that it was to lay off 1,200 employees, although this number has since been reduced. Despite this staff have since taken industrial action over grievances involving redundancies, pay cuts and changes to their pension plans. Mr Timpson has also signed a motion in Parliament calling for a dialogue to be established between Fujitsu's management and the Unite union. Speaking after his visit Mr Timpson said: "The staff here are all highly trained and work very hard, as seen by the fact that Fujitsu Services' profits more than doubled last year. "The workers here have told me their concerns, and Fujitsu needs to sit down with them and negotiate to resolve this dispute and avoid further strike action." CREWE and Nantwich MP Edward Timpson has strongly endorsed radical new plans to tackle crime and restore confidence in Britain’s ‘broken’ criminal justice system. He said the importance of the new Conservative plans is underlined by analysis revealing that there were 1,693 violent attacks on people across Crewe and Nantwich in the last year. This represents a rise of 148% per cent in the last decade. But Mr Timpson said the new plans will give Crewe and Nantwich citizens greater protection if they have to defend themselves against intruders in their homes, or if they stop a crime being committed in the street. He said: “We will give new powers to Cheshire East Council to fight booze-fuelled antisocial behaviour and stop supermarkets selling alcohol at below cost-price which is destroying law-abiding local pubs and fuelling low-level crime." He also says his party will publish detailed street-by-street crime statistics online every month, in an open and standardised format, so people know the real level of crime in their neighbourhood. Mr Timpson added: “Over the last decade the Government has launched endless initiatives and top-down schemes which have made little difference. "Their broken promises have undermined people’s trust. "We can’t go on with the police filling in forms instead of fighting crime. “Our hard-working police officers deserve the highest praise. "But many people across South Cheshire are hugely frustrated with our criminal justice system. "They feel that it’s just not on their side anymore. CREWE and Nantwich MP Edward Timpson last week met with representatives from the charity Beating Bowel Cancer, at their annual Be Loud Be Clear reception. The event, at the House of Commons, aimed to raise awareness of early screening for bowel cancer, the UK’s second biggest cancer killer. Mr Timpson said: “I was pleased to learn today that 767,034 people in the Midlands and North West screening hub have taken part in bowel cancer screening to date. Hilary Whittaker, chief executive of Beating Bowel Cancer, added: “We are delighted that Edward Timpson is supporting Beating Bowel Cancer’s call to action on screening. PATRONS of a South Cheshire charity John Conteh and Edward Timpson MP have joined trainees, staff and guests for a four course celebratory meal at Haslington Cricket Club. Supported Community Business is a therapeutic workshop, based on Crewe Gates Industrial Estate. It was created to help people with learning difficulties who wish to explore the world of work in a safe and controlled environment. The trainees carry out real work tasks for local businesses, ranging from mail shots to packing components for flat packs, enabling them to experience work first hand whilst gaining confidence and life skills. The highlight of the evening was the presentation of this year’s David Hough Trophy, which was awarded to Kevin Schofield, the trainee judged to have made the most significant progress over the past 12 months. Christine Hough and Paul Edwards received certificates of merit in recognition of personal goals they had achieved during the past year. CREWE and Nantwich MP Edward Timpson has strongly endorsed radical new plans set out in the Conservatives’ draft election manifesto to tackle crime and to restore confidence in Britain’s ‘broken’ criminal justice system. He says their importance is underlined by new analysis which reveals there were 1,693 violent attacks on people across the constituency last year, a rise of 148% per cent in the last decade. Mr Timpson says the new plans will give people greater protection if they have to defend themselves against intruders in their homes, or if they stop a crime being committed in the street. “We’ll give new powers to Cheshire East Council to fight booze-fuelled anti-social behaviour and stop supermarkets selling alcohol at below cost-price which is destroying local pubs and fuelling low-level crime,” he said. He says his party will also publish detailed street-by-street crime statistics online every month so people know the real level of crime in their neighbourhood. He says: “Over the last decade, this Government has launched endless initiatives which have made little difference. Their broken promises have undermined people’s trust. We can’t go on with the police filling in forms instead of fighting crime. But the MP reserved praise for the area’s police officers, saying: “Our hard-working police officers deserve the highest praise. But many people across South Cheshire are hugely frustrated with our criminal justice system. They feel that it’s just not on their side anymore. South Cheshire workers of technology giant Fujitsu aired their grievances to Crewe & Nantwich MP Edward Timpson. The MP visited staff at their Crewe Business Park office, which employs around 300 people, after he was contacted by unions. Last year Fujitsu announced it was to lay off 1,200 staff, although this number has since been reduced. Despite this, staff have taken industrial action over grievances involving redundancies, pay cuts and changes to their pension plans. Mr Timpson has also signed a motion in Parliament calling for a dialogue to be established between Fujitsu’s management and the Unite union. Mr Timpson said: “The staff here are all highly trained and work very hard, as seen by the fact that Fujitsu Services’ profits more than doubled last year. Thousands of people watched on as the 38th Battle of Nantwich Holly Holy Day took over the town. The annual event, which this year was free to spectators, saw members of The Sealed Knot re-enact the great Civil War battle. Mayor of Nantwich Cllr Edith Williams and Nantwich MP Edward Timpson and his family were also present. Now that the snow has melted and it seems like the worst of the cold spell is over I would like to record my thanks to the Cheshire East Council staff and the local emergency services for the excellent way they reacted to the worst cold spell for almost 30 years. Staff worked literally around the clock to keep the main roads open, to keep the vulnerable members of our community safe and to maintain the waste collection service . Many Council employees went well beyond the call of duty and I would like to say 'thank you' to them. 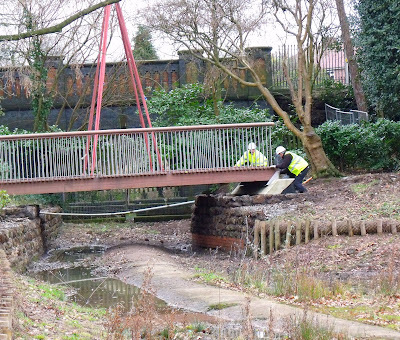 I am sure their wonderful efforts have been appreciated by all local residents. We have many unsung heroes in our community and these workers were certainly heroes during the recent freezing weather. We are very pleased that an extensive refurbishment and fencing of the Parish Council's children`s play area on the Wybunbury Road playing field in Willaston has now been completed. New items of equipment installed include an All Ability roundabout, a Pendulum Swing suitable for use by disabled children, and an exciting SMP climbing unit, together with new safety surfacing. The play area is now of a standard fit for a new generation of children in the village and is safer to use because of the new fencing. The Parish Council has been working on this project for over 12 months and it has finally been made possible thanks to a generous £30,000 grant contributions from Cheshire East Council and a grant from the Waste Recycling Group (WRG) administered by the Environmental Body WREN. We would like to thank the Parish Council for bringing this worthwhile project to fruition and the Cheshire East Council and WREN for helping to fund it. Rope Ward Cheshire East Councillors. Commemorating Holocaust Memorial Day are (left to right) Tania Nelson, daughter of a holocaust survivor, Helen Oakes of Wilmslow High School, John Weeks, Strategic Director of People for Cheshire East Council, Cheshire East Mayor Margaret Simon, Catherine Howard of Wilmslow High School and Jack Aizenberg, camp survivor. A Holocaust survivor joined people from across Cheshire East to remember and reflect upon some of the most terrible events in recorded history. Cheshire East Council invited Jack Aizenberg to be a guest speaker at the event to commemorate Holocaust Memorial Day on the 65th anniversary of the liberation of the Nazi death camp at Auschwitz-Birkenau. Pupils and teachers from local schools joined members of community groups from across the area for the event at Macclesfield Town Hall. Mr Aizenberg described his harrowing experiences at Buchenwald and Theresienstadt camps and how he was among only 60 inmates from 600 to survive a death march. He was liberated in May 1945 but lost his mother, father and brother in the atrocities. Guests heard next from Tania Nelson, daughter of camp survivor Mendel Beale, who recounted her father’s imprisonment at Gerlitz and Auschwitz. Catherine Howard, Religious Studies Teacher at Wilmslow High School, recalled her visit to Yad Vashem in Jerusalem, the world centre for research, education and commemoration of the Holocaust. Wilmslow High School pupil Helen Oakes gave her experiences of a recent visit to Auschwitz. The event featured choir performances from pupils from North Cheshire Jewish Primary School and Ash Grove Primary School and music from All Hallows Catholic College. Cheshire East Mayor Margaret Simon said: “Very sadly, the evils that created the Holocaust have not entirely passed away with history. “The tragedies of Cambodia, Bosnia, Rwanda and Darfur show that the international community – and each of us as citizens – have still to understand and apply the lessons of the atrocities of 65 years ago. “The experiences of the survivors were terrible to listen to but it is vitally important for people to understand what happened in the Holocaust, so that they can prevent the same terrible things ever happening again. 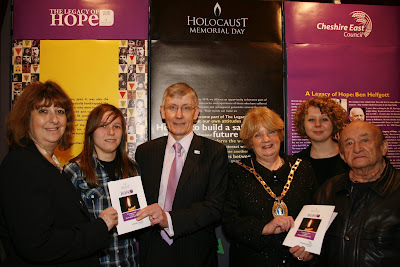 The commemoration was based around the Holocaust Memorial Day Trust’s 2010 theme of ‘A Legacy of Hope’. Karen Pollock, Chief Executive of the Holocaust Educational Trust, said: “This year’s theme ‘The Legacy of Hope’ highlights the importance of bearing witness to Holocaust Survivors. Please be aware of the following distraction burglary that took place in the Ruskin Road area of Crewe at approx 12:15pm on Thursday 21/01/2010. Unknown male offender knocks on front door of premise and states that he is from the council. He proceeds to say that there is a burst pipe in the street and he needs to turn the water off due to it being contaminated. The house occupant took the offender into the kitchen area and whilst he is looking under the sink, a second unknown offender enters the premise without the occupant's knowledge. The second offender goes upstairs and makes a tidy search of the main bedroom and steals a large quantity of cash before exiting the premise separately from the first offender. Please make members aware of this incident and ask them to make their friends and family aware. If anyone has any elderly relatives of neighbours please make them aware as unfortunately elderly people are often the target of these types of crime. With recent new stories in the local paper about the high levels of chlorine in the water some people may be more believing of someone knocking on the door asking to check for contaminated water. If anyone has any elderly relatives please try to encourage them to refrain from storing large quantities of money around their properties. I appreciate that some people are reluctant to use a bank but offenders are well aware of all the common hiding places for money such as under the bed, floorboards, kitchen cupboards and drawers, in or on top of the wardrobe, hidden amongst clothing in drawers, in empty tins and behind dressers/units. In these types of burglaries the second offender can often locate cash and valuables quickly from looking in a few key places. * Always check an individuals ID thoroughly. It is a good idea to take their ID, shut the door on them, go into your property and find a contact number for the company in question and ring to enquire if someone should genuinely be in your area for the reason stated and check the employees details from the ID. Don't feel rude doing this, a genuine company operative should not take offence at this as it causes them as much concern that people misuse their companies name to commit crimes. * Many utility companies operate a password scheme. It may be worthwhile contacting your providers to see if you can sign up to this. This would mean that anyone knocking on your door who is genuine should be able to provide you with your password (or certainly obtain it from their company). * If practical you can ask the person to go away and make an official appointment to attend at your property in writing. This allows you the chance to ask someone to be with you at your property during the visit. If the person isn't genuine they are highly unlikely to follow up. If you do receive a letter you have adequate time to double check with the company in question that it is genuine. * Remember if at any time you are unsure or uncomfortable you do not have to allow entry to your property to anyone. If in any doubt, keep them out. Welcome to this my thirty-sixth electronic news bulletin. ...This weekend I will be attending Crewe Bangladesh Welfare Association reception with Shadow Minister, Baroness Warsi. Traditional Bangladesh dancing, food and hospitality will welcome around 300 guests to the Victoria Centre on West Street in Crewe, between 11am and 6pm. The colourful event will celebrate the achievements of the Crewe Bangladesh Welfare Association (CBWA) during its first year in existence. • Mayor of Cheshire East, Councillor Margaret Simon. Councillor Margaret Simon, Mayor of Cheshire East, who will be giving a speech at the event, said: “The achievements of the Bangladeshi community in Crewe is a wonderful example of successful cultural integration. Claire Wilson, Community Development Manager at Cheshire East Council, commented: “One of the biggest challenges within the community is getting women involved in events and activities. We hope that by engaging with the group they will have improved job opportunities and develop other new interests and activities. CREWE and Nantwich MP Edward Timpson has welcomed a pledge to create a supermarket ombudsman to curb abuses of power by the major food retailers. The Tories say they would create the ombudsman as a dedicated unit in the Office of Fair Trading. This is particularly important for Nantwich dairy farmers who can struggle to get a fair price for their milk. Mr Timpson said: “Supermarkets deliver real benefits but some aspects of the way they treat their suppliers can harm consumers as well as producers. “We have a new code of practice which outlaws unacceptable practices such as retrospective discounting, but this isn’t worth the paper it is written on without effective enforcement. “While the Government dithers the Conservatives are clear: we will introduce an ombudsman to curb abuses of power which undermine our local dairy farmers and act against the long-term interest of consumers. MP EDWARD Timpson aims to introduce a Bill in parliament to make it easier for people to scrutinise the performance times of their local ambulance service. Current rules mean response times are only published by region and can mask the true picture. The guidelines mean poor response times in rural areas, such as Audlem, are averaged out by better response times in urban areas. Services are currently required to respond to 75% of the most urgent ‘Category A’ calls within eight minutes. In November North West Ambulance fell just short of this target, managing to respond to 73% of Category A calls within eight minutes, but in some areas the figure was much lower. In Nantwich the service achieved just 53%. Mr Timpson gave notice to introduce a Bill as part of the ongoing campaign to restore blue light abilities to Nantwich First Responders. My Party has consistently fought to protect the NHS from Labour’s cuts and reorganisations. We understand the pressures the NHS faces and are committed to protecting health spending in real terms. But when you’re more likely to die of cancer in Britain than in most countries in Europe – and when the number of managers in the NHS is rising three times as fast as the number of nurses – the question isn’t whether the NHS should change, it’s how. Our plan is based on decentralisation, accountability and transparency. By publishing the information about the results the healthcare providers are achieving, we’ll make sure there’s no hiding place. This is why I’m introducing a Bill to make our ambulance service report its local response times for Crewe and Nantwich. They’re not good enough, but many people don’t know this. When the patients have the information to make an informed choice, then hospitals and GPs that don’t provide good care will have to raise their game. © Trinity Mirror North West & North Wales Limited. TWO youngsters from the nationally renowned Cheshire Academy of Integrated Sport and Arts in Crewe were given the treat of a lifetime when they visited the Houses of Parliament. Ryan Moore, 11, and Christopher Brown, 14, both from Crewe, were invited to London by Crewe and Nantwich MP Edward TImpson. Mr Timpson took two hours out of his very busy schedule to show the boys round the historic building, arrange refreshments by the Thames and explain the way Parliament works. The youngsters, who were accompanied by Jane Whetnall and Kate Shackleton from the Macon Way centre for disabled children, were “incredibly impressed” with the effort made by the local MP on their behalf. Kate said: “I cannot thank Mr Timpson enough for his valuable time and the effort he put in. “He was very relaxed with the youngsters and explained things really simply and pitched things exactly at the right level of understanding. Churches, village halls, charity shops and sports clubs across Crewe and Nantwich face a new £20 million tax from Gordon Brown’s Government, says local MP Edward Timpson. "In the small print of new regulations, the Government is abolishing charities’ and voluntary groups’ long-standing exemption from music licensing rules– hitting them with unexpected new bills just for holding events with recorded music or for playing a radio," says Mr Timpson. Voluntary groups do not have to pay for a performance rights licence to play recorded music. "This exemption is now being abolished by the Government. This will affect church worship, charity discos, tea dances, youth clubs, dancing groups, sports clubs and even charity shops," says the MP. The levy will come into effect in April if ratified by Parliament, though the Conservatives have said they will strongly oppose the measures. "The Government admits that the new levies will cost voluntary groups £20 million a year," says Mr Timpson. “This is another assault on the fabric of British community life. Having effectively shut down post offices and local pubs across Crewe and Nantwich, Whitehall bureaucrats now have our village halls, scout huts, charity shops and churches in their sights." Drivers in and around Nantwich are urged to be patient when the annual “Battle of Nantwich” Holly Holy Day arrives in town. Police will put diversions in place during the event on Saturday January 23. Members of the Sealed Knot Society will parade through the town, before re-enacting the civil war Battle of Nantwich on Mill Island. After the battle they will form up again and march back to Malbank School. Derek Griffiths, events planning officer with Cheshire Police, said there will be some closures in place during marches. Drivers are urged to plan journeys and cooperate with directions from officers on the day. During the parade at 1pm, Welsh Row, from Malbank School to Waterlode, Oatmarket, from Waterlode to Beam Street, Beam Street, from Oatmarket to Manor Road and Waterlode, from Mill Street to Oatmarket, will be closed. 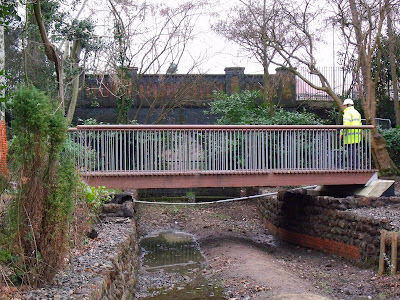 During the battle between 2pm and 3pm footbridges and footpaths on Mill Island will be closed except for the footbridge from Waterlode. Local MP Edward Timpson is Patron of the Holly Holy Day Society and has urged residents and traders to get behind the event, which this year is free. He said: “Some local businesses have already supported the event through sponsorship, advertising or practical assistance, and we are hoping that local shops will add to the festive spirit by dressing up their staff or through window displays. The Government delayed the official response to the public consultation on registration and monitoring of home educated children until the Second Reading of the Children Schools and Families Bill. The official response is somewhat perfunctory and does not make a persuasive case for change. Over 200 MPs voted against the Government Bill. Minister Diana Johnson who has responsibility for home education did not speak in the debate. The Bill will now pass to Committee stage which will conclude on February 4th before the Bill is returned to the House of Commons for the Third Reading. He said a future Conservative government will create a supermarket ombudsman as a dedicated unit in the Office of Fair Trading. Mr Timpson said the issue is particularly important for Crewe and Nantwich dairy farmers who can struggle to get a fair price for their milk. He said: “Supermarkets deliver real benefits but some aspects of the way they treat their suppliers can harm consumers as well as producers. "We have a new code of practice which outlaws unacceptable practices such as retrospective discounting, but this isn’t worth the paper it is written on without effective enforcement. LOCAL dignatories will be supporting the Bangladeshi community in Crewe on Sunday, during what promises to be a feast of delights. Traditional Bangladesh dancing, food and hospitality will welcome around 300 guests to the Victoria Centre on West Street between 11am and 6pm. Amongst the VIP guests will be Baroness Warsi, Edward Timpson MP, Sajjad Karim MEP and Cheshire East Mayor Margaret Simon. Clr Simon said: "The achievements of the Bangladeshi community in Crewe is a wonderful example of successful cultural integration. Claire Wilson, community development manager at Cheshire East Council, said: “One of the biggest challenges within the community is getting women involved in events and activities. "We hope that by engaging with the group they will have improved job opportunities and develop other new interests and activities. Brian Silvester, deputy leader of the council, added: “I spoke at the launch of the Welfare Association last year and I am delighted that it has become an annual event. "The Association does a lot of good work locally and the council continues to work closely with them. Crewe is home to around 500 Bangladeshi people who settled here 50 years ago and are now third generation. The community has its own Mosque in Walthall Street and is currently in the process of obtaining new premises in Electricity Street. Members of the Polish, Iraq, Turkish and ethnic Black community have also been invited. Crewe and Nantwich MP Edward Timpson last week turned up the heat on the Government when he demanded to know what plans are in place to tackle fuel poverty. Recently released figures show that fuel poverty is at its highest level since 1998 with 13.3% of households in Crewe and Nantwich living in fuel poverty. During the 2007-08 winter there were 50 ‘excess winter deaths’ attributed to the cold. Mr Timpson highlighted the alarming figures in the commons saying: “Just over one in eight households in my constituency live in fuel poverty. CREWE and Nantwich MP Edward Timpson is urging the South Cheshire community to support the Holly Holy Day Winter Fayre in Nantwich on Saturday January 23. Mr Timpson is the patron of the Holly Holy Day Society which stages the annual commemoration of the 1644 Battle of Nantwich. The event was a victory for the forces of Parliament which ended the Royalist siege of the town after a miserable Christmas with precious little food or other supplies available. The colourful event which culminates in a re-enactment of the battle on Mill Island is organised by the society and supported by Sealed Knot and Crewe and Nantwich Rotary. There is a programme of events and entertainments in the town for the whole family from Saturday morning onwards, including a dedicated area for children. In view of economic conditions, the organisers have made the event free this year. Three years ago the event nearly folded due to lack of funding and practical support. Since then, people have rallied round and organisers expect this year’s event to be the biggest Holly Holy Day yet. Mr Timpson said: “Holly Holy Day in Nantwich is a tradition that has been enjoyed by many generations of local people now. “Some local businesses have already supported the event through sponsorship, advertising or practical assistance, and we are hoping that local shops will add to the festive spirit by dressing up their staff or through window displays. "The event should bring in lots of visitors, which will be a big help to our shops at this time of year. CREWE and Nantwich MP Edward Timpson has turned up the heat on the Government as he demanded to know what future plans were in place to tackle fuel poverty. Recent figures show that ‘fuel poverty’ is at its highest level since 1998 with 13% of households in Crewe and Nantwich living in that condition. They further revealed that that during the 2007-2008 winter there were 50 ‘excess winter deaths’ attributed to the cold. Speaking in the house of Commons Mr Timpson said: "Just over one in eight households in Crewe and Nantwich are living in fuel poverty. Responding, a minister for the Department for Energy and Climate Change said: "The answer to his question lies yet again in the deliberations of the committee that is considering the Energy Bill, about which we have heard so much today. "We do indeed intend to put the voluntary agreement for social price support on a statutory basis, and we propose to double the amount of support under that scheme." Afterwards Mr Timpson commented: "I was shocked by the figures revealing the extent of fuel poverty in Crewe and Nantwich, a problem which is even more acute as we are experiencing one of the harshest winters in living memory. "Conditions here in Crewe and Nantwich are some of the worst in the country and people need to know that the Government is doing as much as possible to help them pay fuel bills both now and in the future." A supermarket Ombudsman will benefit Nantwich dairy farmers and consumers, the town’s MP Edward Timpson claims. The Conservatives have pledged to create the Ombudsman position in a bid to curb what it sees as abuses of power by major food retailers. The Ombudsman would be a dedicated unit in the Office of Fair Trading. Crewe and Nantwich dairy farmers, such as Hatherton-based Joseph Heler, face a constant battle to achieve a good price for their products. “We have a new code which outlaws unacceptable practices such as retrospective discounting, but this isn’t worth the paper it is written on without effective enforcement. “The Conservatives are clear: we will introduce an Ombudsman to curb abuses of power which undermine our local dairy farmers and act against the long-term interest of consumers.